This story has been adapted from ‘The Bee, the Harp, the Mouse and the Bum-Clock’ (Donegal Fairy Stories, Sedmas McManus, Doubleday 1990). It contains strong echoes of ‘Jack and the Beanstalk,’ and of Grimm’s ‘Simpleton and the Golden Goose’ (in which a king’s daughter could not laugh). 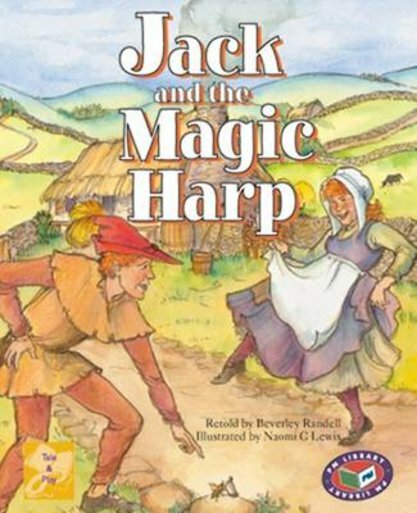 The kingdom, the castle and the magic harp give a medieval flavour to this cheerful Irish story. Set in West Ireland in the 15th century.